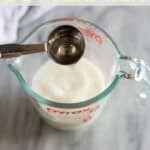 An easy Buttermilk Substitute recipe and a guide for How to Make Buttermilk including dairy free and vegan buttermilk. We’ve all been in the middle of making a recipe when we realized we didn’t have buttermilk on hand! 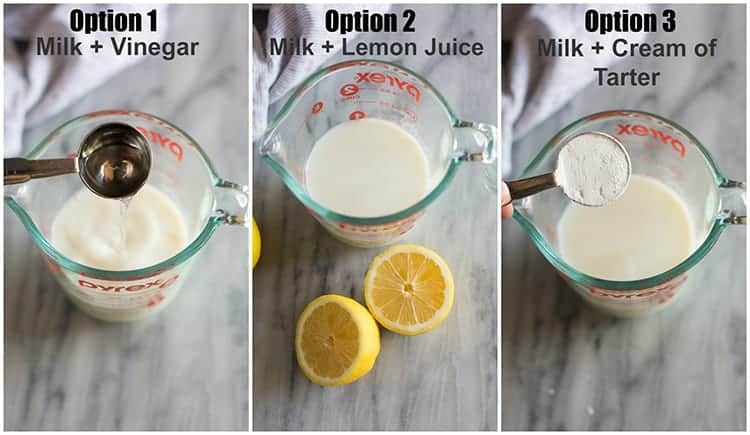 Luckily, making your own buttermilk is so easy and only requires two simple ingredients. If your looking for ways to use your buttermilk (or buttermilk substitute), try these perfect buttermilk pancakes, biscuits, or my favorite Hershey’s “perfectly chocolate” Chocolate Cake. Pour the tablespoon of vinegar into a 1 cup measurer. Fill the rest of the 1 cup measurer with milk. Gently stir and let the mixture sit for about 5 minutes. 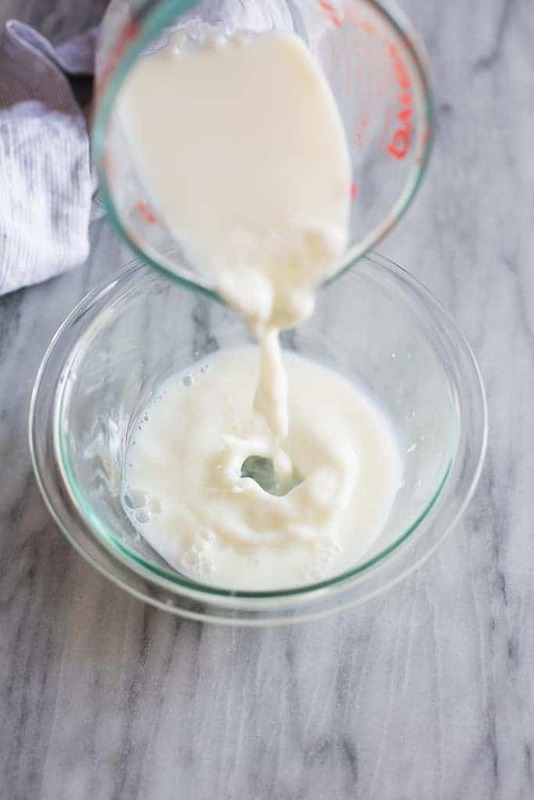 This will allow the milk to slightly curdle, giving it a buttermilk-like texture and taste. 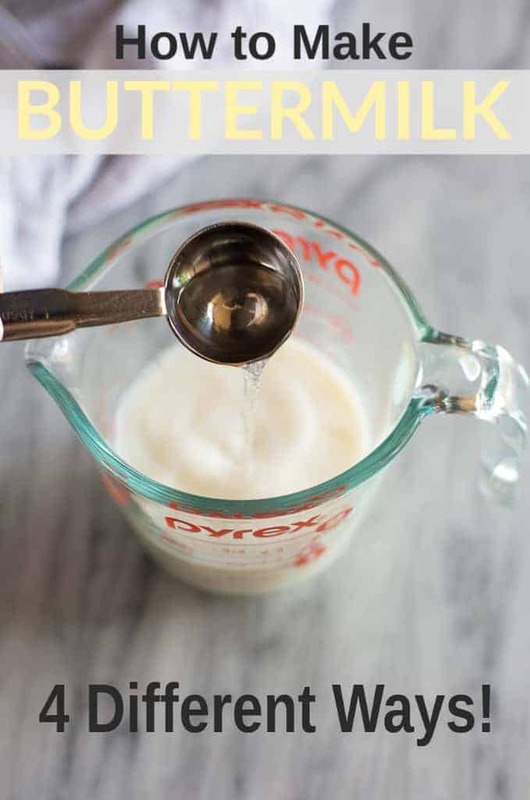 You can also use cream of tarter and milk as a buttermilk substitute, or substitute plain yogurt for buttermilk. Read more in the post above.